This artist started in the field of movie poster art in 1958, working for Studio Battaglia, and all his first movie posters (The Guns of Navarone and others) were signed Studio Bat. After Battaglia he worked with Adelchi Serafini and with Maro ( Mauro Innocenti), where he learned more about the best ways to use colors. For over 15 years he was the assistant of Renato Casaro and for another 12 years the assistant of Enzo Sciotti. 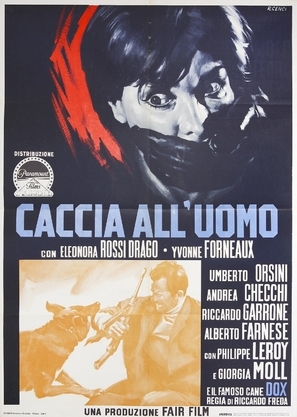 This page displays our archive of 1 movie poster made by Renzo Cenci.